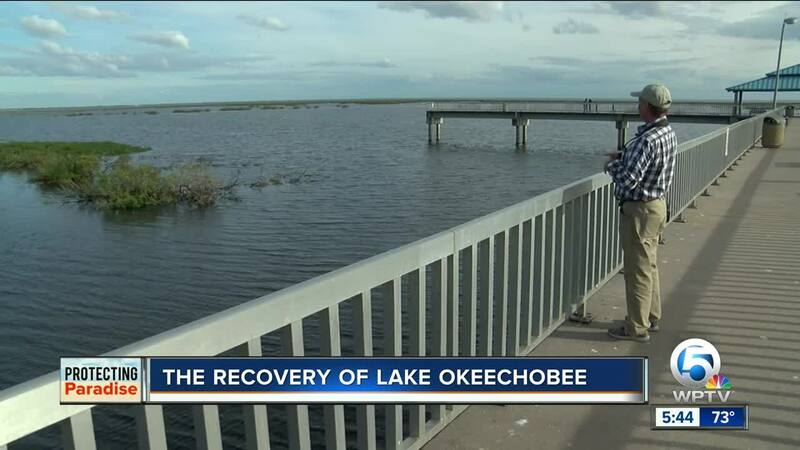 Scientists say this dry season is crucial for the recovery of Lake Okeechobee. PAHOKEE, Fla. — The Liquid Heart of the Everglades, as they call it, has long suffered from high water levels and pollution flowing in from the Kissimmee River. "This place 10 years ago was absolutely beautiful," said Mike Krause, owner of Okeechobee Fishing Headquarters in Okeechobee. Now he said the lake has changed. "That’s how much muck we have on the bottom of the lake," said Krause out on Lake Okeechobee. "Dead, dying, decaying vegetation." Lake Okeechobee, over a six-year span, has suffered from pollution and high water levels. Paul Gray, Science Coordinator with Audubon Florida, said those issues kill the natural filtration in the lake. "What happens is when it gets deep is we drown out vegetation," said Gray. "We lost about 60 square miles of vegetation from this lake." The hope is that this dry season the big lake starts to recover. "We just got to wait for the right weather conditions," said Gray. He added we’re off to a good start this season with the lake dipping below 13 feet, but we need it to stay dry. "11 feet, then we can get those plants to start recovering," said Gray. Gray said a lot of it is up to mother nature, but we can try to control the amount of pollution flowing into the lake from the north. "One of those spectacular things about Florida that we can take care of or we can lose it if we screw it up," said Gray. Anglers also agreed that this is a critical dry season. "Make people aware of what we have," said Krause. "The paradise we actually have."